Have you ever seen a movie or TV show, where the person puts his or her hand through an imaginary wall or invisible shield only to enter into another dimension? That’s what the Salton Sea feels like to me. Last week, I took two of my nephews to see this odd little piece of geography. We headed east through Julian, then after a beautiful stretch of Anza Borrego and Ocotillo Wells, we ran smack dab into the 86. From there we went to Mecca and then headed south on the 111 to the official recreation area. If we weren’t on a time crunch, we would have continued heading south on the 111 because that is where Salvation Mountain lies as well as Bombay Beach and Slab City. Not to mention the countless photo stops of abandoned cars, houses, and general remnants of a bygone era. What makes the Salton Sea so interesting to me is that in my mind, it is the land that time forgot. It was once a bustling recreation area – second only to Yosemite. Now, it’s an odd mix of environmental preservation, long stretches of highways, agriculture, abandoned structures and cars, beaches where one walks on the bones of dead fish, and this beautiful, eerie lake, filled with Tilapia fish (the only type that can survive in the salty water) with lovely birds skimming the water or flying high above; floating as if in a dream. Oh, there is even the International Banana Museum, which is one of those odd places that just makes me love California even more. If you ever get the chance, please visit the Salton Sea. And if you can swing it, try to take at least one day or two to really explore it. And bonus. If you would like some company and I dare say, a fantastic tour guide, I am always up for a road trip to this haunted, strange land. It is one of the world’s most important winter stops for birds traveling the Pacific Flyway. Presently, it supports a significant number of threatened or endangered bird populations. The Salton Sea is California’s largest lake – approximately 35 miles long, 15 miles wide. It is 235 feet below sea level. The Salton Sea lacks any outlet, with inflow from only a few sources. Because of lack of inflow and limited annual rainfall, the sea is about 50% saltier than the ocean. Thanks. 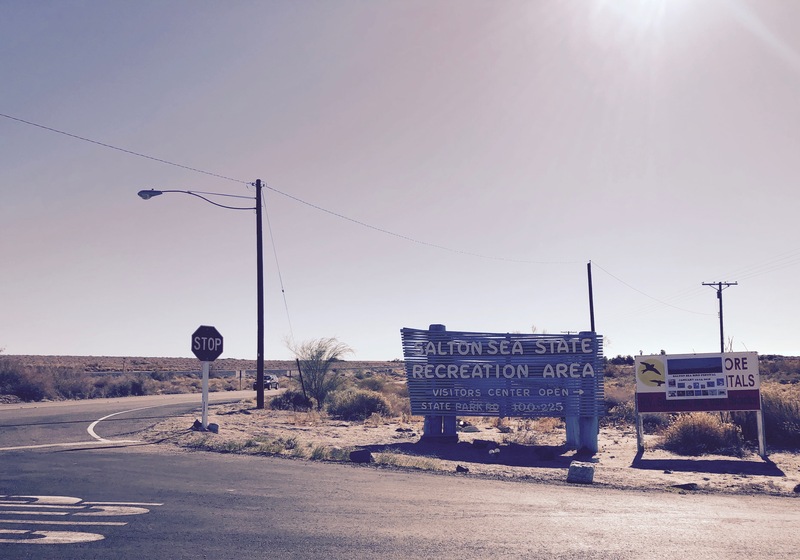 I have been to the Salton Sea but I did not know anything about it.